I discovered the Environ product line on a Regent Cruise ship while traveling from London to Barcelona in October 2016. I had recently enjoyed a three-week trip to the Philippines, Thailand, and Bali, however the change in moisture and lack of my normal skin routine left my face looking like a wreck! I booked a facial on the cruise ship which was a lifesaver and introduced me to some life changing products. As soon as I returned home to New York I contacted Environ to find a stockist for products and skin care treatments. Luckily, I work in midtown Manhattan and had at least half a dozen options to visit. I wanted to meet the estheticians first for a skin care assessment and talk about my options moving forward. Over the past two years I had tried three other medical skin care lines with two different estheticians and was not happy with their work and not seeing results. I met with four different Environ Stuckists in Manhattan, one being Carmel at The Renew Anti-Aging Center. From the moment, I stepped in their beautiful office, I knew this is who I wanted to trust my skin with! Carmel and Mary were very welcoming and very friendly. Carmel completed a full skin assessment and gave me her opinions on what products I should be using, which happened to be the same products the esthetician on the Regent Cruise had suggested for me. She and I worked together to create a plan for taking care of my skin for the next six months leading up to my wedding in May 2017. Environ products are slightly more expensive than what I was used to purchasing but they are worth every penny! I noticed a change in my skin within a couple of days of use and after seven months of using the products and regular facials with Carmel my skin is silky smooth, I have a dewy glow, I have far less breakouts, and my blackheads are shrinking in size- even disappearing! 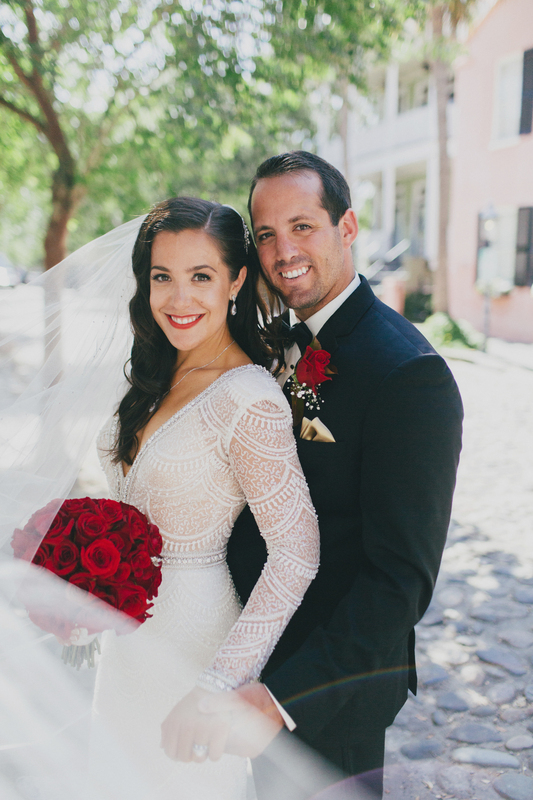 I was so happy with the appearance of my skin for my wedding and I am so happy with my decision to work with Carmel! Thank you, Mary and Carmel!